Six Star® N.O. Fury® is a scientifically advanced pre-workout that harnesses the power of nitric oxide to get you incredibly pumped and help you experience the best workouts of your life! Six Star® N.O. 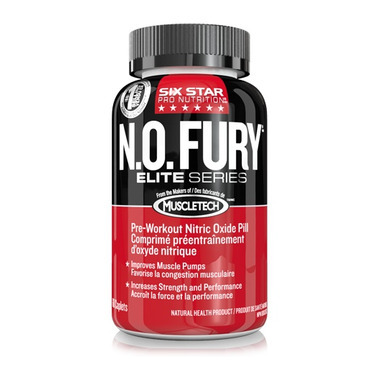 Fury® caplets flood your system with ingredients designed to enhance nitric oxide levels. Added to your intense weight-training program, Six Star® N.O. Fury® caplets are formulated to deliver vascular expansion and muscle pumps you'll see and feel. 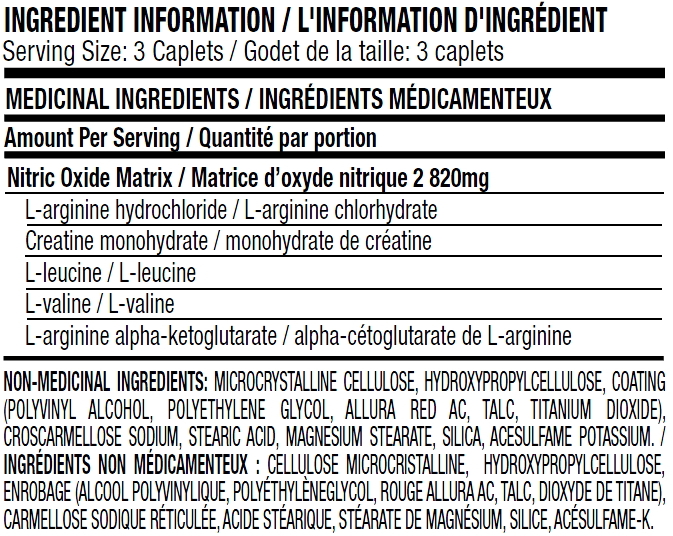 Recommended Dose (Adults): Take 1 serving (3 to 5 caplets) with a glass of water two times daily. On workout days, take 1 serving 30 to 60 minutes before your workout. Do not exceed 6 to 10 caplets in a 24-hour period. This is a great product. It does what it says it will do, give you a pump to do more reps and more weight in your workout regimen. It is also great for cardio. I will be ordering again!